Celebrate AMC's hit The Walking Dead TV series with an awesome 2-pack of pints! 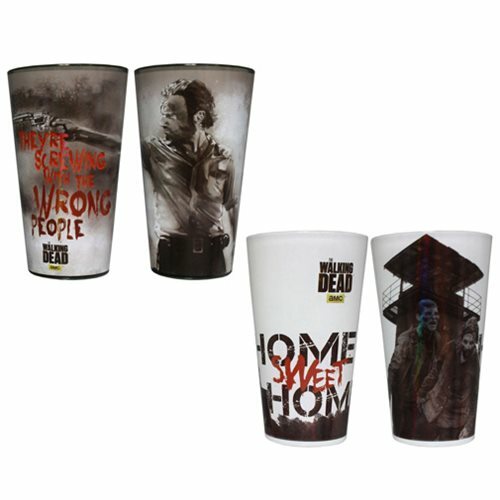 The Walking Dead Home Sweet Home and Wrong People Pint Glass 2-Pack harkens back to some of the most iconic and trying times of the TV show. Fans of The Walking Dead will love them! Each glass holds up to 16 ounces of liquid.